Welcome to Olivia Taylor Dudley Fan. A fansite dedicated to the incredibly talented actress Olivia Taylor Dudley. Olivia is most known as Alice Quinn from Syfy's "The Magicians". You may also know of Olivia from the movies "The Vatican Tapes" , "Paranormal Activity: The Ghost Dimension" or "The Barber". OliviaTaylorDudley.org brings you the latest Olivia news, event photos, captures, photoshoots, & more. 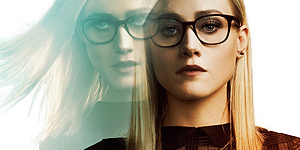 Olivia Taylor Dudley Fan is an unofficial fan site dedicated to the Olivia Taylor Dudley. All images, articles, videos, etc. are copyright to their respective owners and no copyright infringement is intended. Please contact us if you have any questions or if you would like certain content or images removed. This is a 100% non-profit fan website made by fans for fans. We have no affiliation or contact with Olivia or her management. After being recruited to a secretive academy, a group of students discover that the magic they read about as children is very real-and more dangerous than they ever imagined. When two lovers become obsessed with a machine in their house that alters emotions, things take a hellish turn. Three acts of terror disrupt the lives of ordinary people. In Binghamton, an ESL teacher dealing with domestic abuse finds even greater violence at her school. In Orlando, two lovers drifting apart may be separated by the hate of another. In Paris, friends on an introspective night out are caught up in a brutal madness. Present Quentin. Past Alice. The ultimate #FBF. These two are heading back to a very familiar place.